In practice since 1995, Dr. Lee Smith opened his first chiropractic care center, Boca Chiropractic, in 1997. He was born in Melbourne and knew that he wanted to raise his children in the beautiful beach town he’d grown up in. 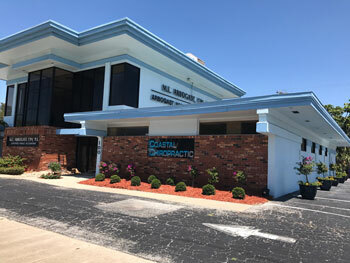 They made the move to our community, and Coastal Chiropractic opened in 2017. Our family health care practice is for all ages, from newborns just hours old to senior citizens, as well as auto accident victims and athletes. Dr. Lee treats the entire body from head to toe. He is committed to assisting people in feeling the best they possibly can, allowing them to lead healthy, active lives. To bring a full-body approach to your care, Dr. Lee has dedicated many years of studies and training to nutrition and exercise. Along with modern, science-based chiropractic care, we provide advice that allows you to improve all aspects of your life. We can counsel you on gaining the proper nutrition that you need to live a better life, tailoring our recommendations to you and your body. If desired, we can help you change your diet or recommend the necessary supplementation. The exercises we recommend are also individualized to ensure that you perform exercises safely that are appropriate for you. Though our focus is on spinal care, we understand that these additional areas of focus will help you gain true health in body and mind. We invite you to find out more about our unique approach by contacting our office today.